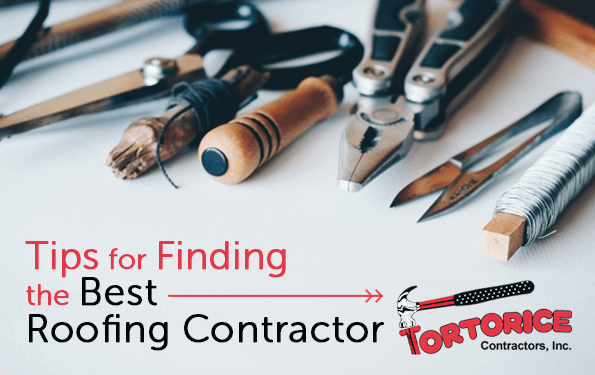 How Do You Find the Best NJ Roofing Contractor? - Tortorice Contractors Inc.
Roofing is arguably the most important stage of the construction process, and because of the sensitive nature of the job, it’s important to find the best NJ roofing contractor for the job. Roofing is a complex stage of building that you may not understand, especially if you are not a trained professional. Roofing mistakes have disastrous consequences, and therefore, you cannot afford to ignore key issues that may compromise the selection of the best talent. These days, the construction industry is booming. Both private and commercial entities are continuously putting up new structures. Fortunately, the increased demand for professional roofing services has paved the way for more trained roofing contractors joining the industry. With plenty of information sources available, there are plenty of techniques that you can use to identify the best company for your project. This is unlike the past, when those looking for roofing services faced enormous challenges finding great service, and had few options to choose from. Are you looking for an expert roofing contractor, but you have no idea where to begin? The following handy tips will be of great use. If you want to be sure that you find the best roofing contractor in NJ, your best bet is to check service provider reviews. Reviews offer you the chance to sample genuine and unbiased reviews, giving you an idea of what kind of services to expect. Nowadays, there are numerous review sites where you can research and familiarize yourself with various roofing contractor companies. Reviews are based on a number of key parameters, whose main aim is to rate the competency of a roofing contractor. Given the current competition in the roofing sector, every industry player seeks to put its best foot forward. Be careful when choosing review sites, and only go for those that are reputable to get genuine reviews. Some roofing contractors have their own review sections on their website, where you can see what previous clients have said about them. Comparing both sets of reviews is the best way to get an honest opinion and accurately determine the quality of services. In the roofing industry, experience is critical because it forms the basis for a contractor’s track record of performance and professionalism. If you are looking for a roofing contractor, the first thing that you should consider is their level of experience. Considering the sensitivity of the project, most clients prefer contractors who know what to expect and can handle any obstacles or problems that might get in the way. There are numerous ways to check if a service provider is experienced or not. First and foremost, reviews are a perfect way to get useful information that will help you judge the skills of an NJ roofing contractor. Using reviews, you can determine roughly how many projects a roofing contractor has successfully worked on. Then you can see whether they can provide proof of these successful projects. Dealing with a contractor who has been in the field for many years assures you that the best roofing practices will be implemented. In the roofing industry, evaluation of past projects plays a key role in determining who is best placed to take care of your roofing projects. The success of past projects largely determines the level of professionalism of a roofing contractor. One smart way of getting information is to ask prospective roofing contractor NJ professionals to show you what they’ve worked on in the past. Evaluating past projects gives you a sense of understanding, especially regarding designs and quality of workmanship. In the event that you are looking for professionals who are skilled in executing specific roofing designs, familiarizing yourself with past projects is a great idea. Obtaining first-hand recommendations is one of the best ways to find a roofing contractor. This way, you can find accurate and reliable information from people who have already dealt with a contractor. This enables them to provide an accurate rating and review of a NJ roofing contractor. You can find recommendations from people such as family, friends and colleagues. Using this approach, a lot of property owners find top-notch contractors that are well-versed in modern and safe roofing techniques. Remember, the consequences of poor roofing are disastrous. Always take the time to research well to avoid problems.